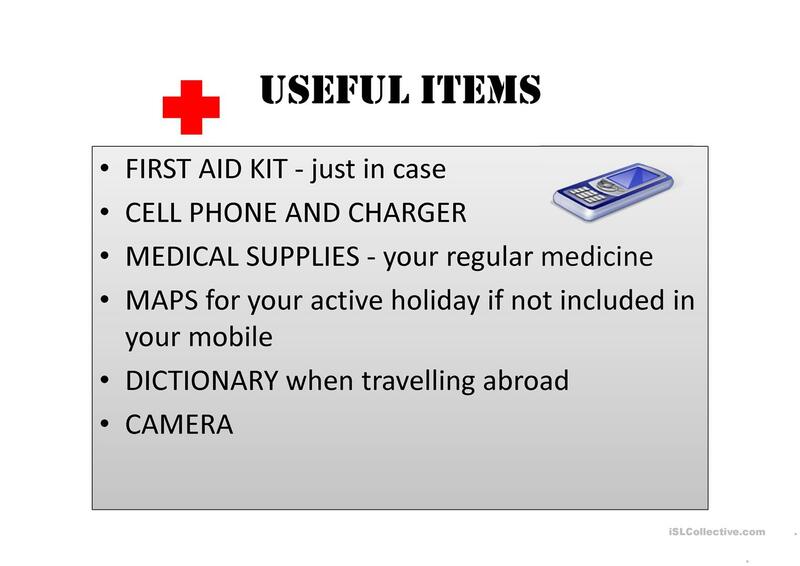 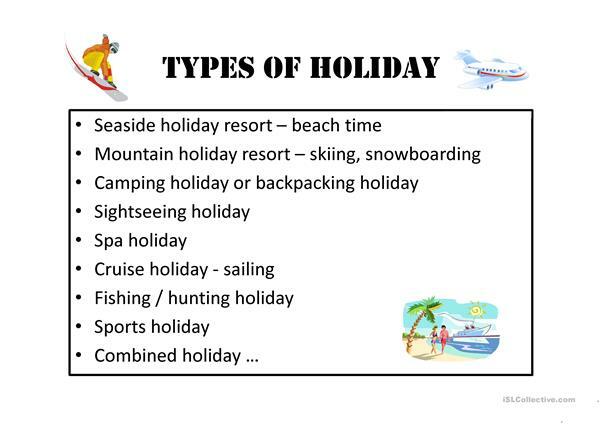 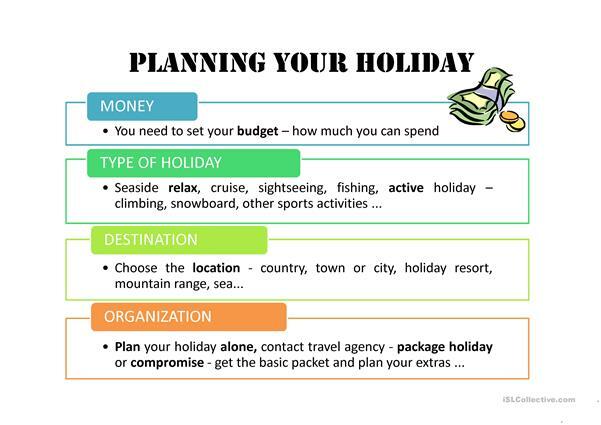 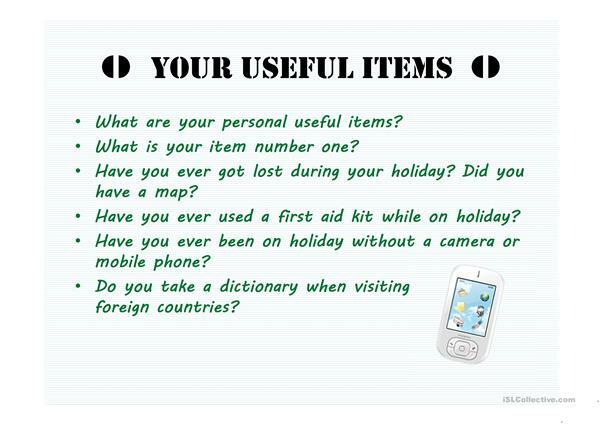 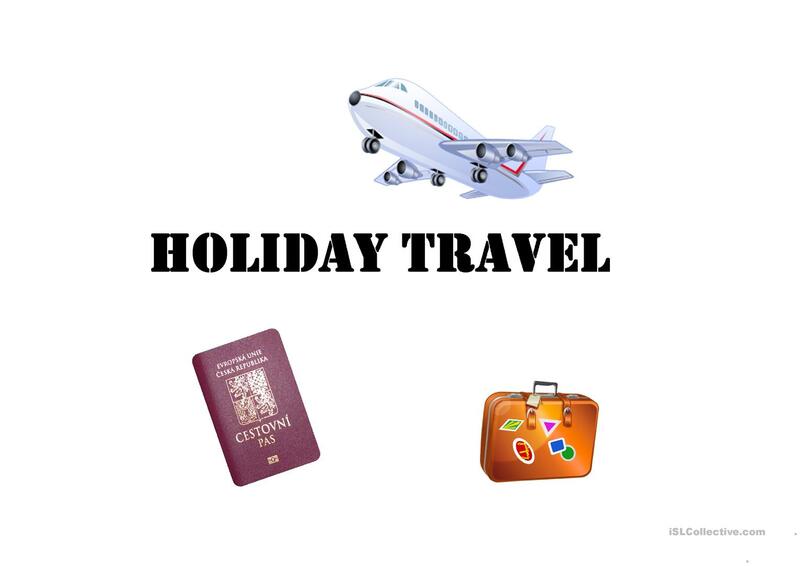 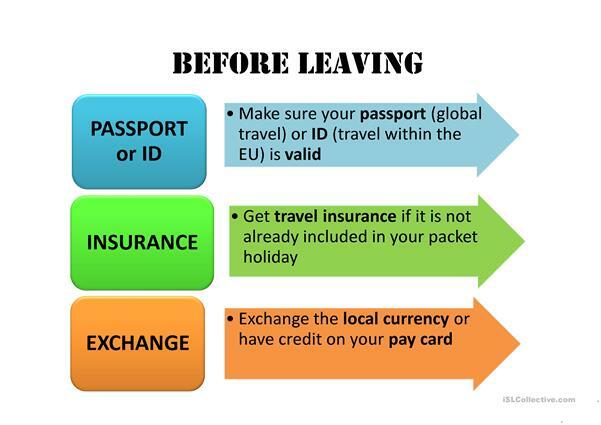 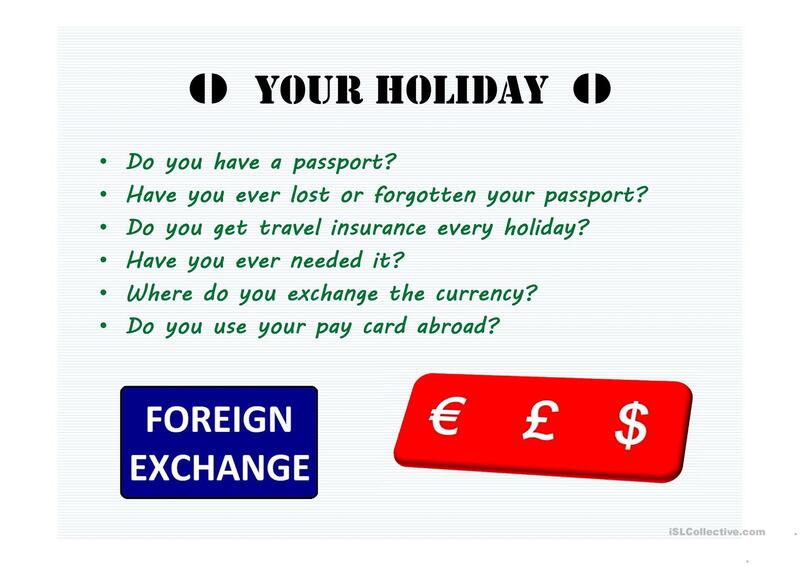 To be used in class to present the topic holiday travel with intermediate students or as a revision for upper-intermediate students. Questions follow each introductory slide for further practice. 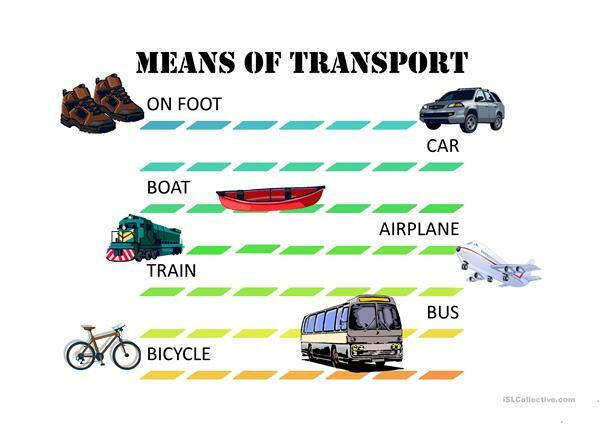 Written assighnment as a possibilty at the end. 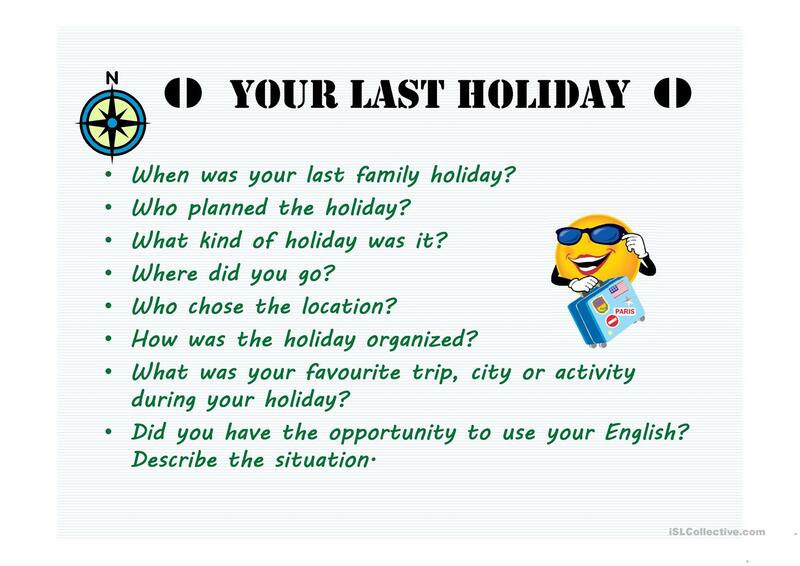 This downloadable handout was created for high school students, elementary school students and adults at Intermediate (B1) and Upper-intermediate (B2) level. 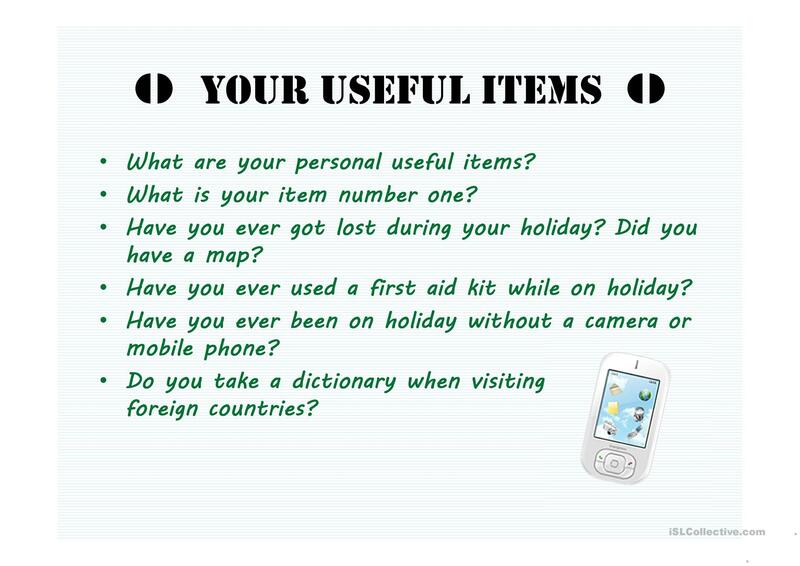 It can be used for working on your groups' Speaking and Writing skills. 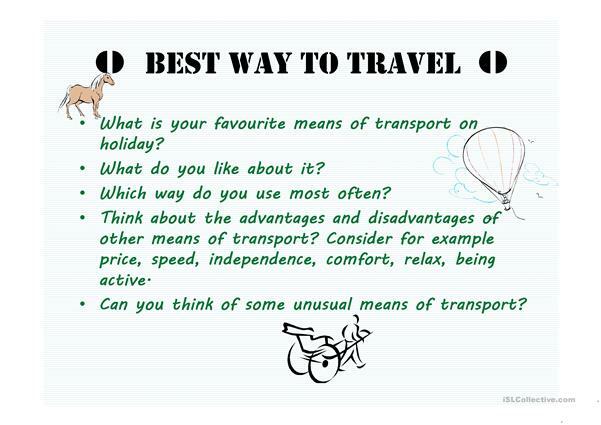 It is focused on the theme of Travel. honikam is from/lives in Czech Republic and has been a member of iSLCollective since 2013-05-30 20:31:51. honikam last logged in on 2019-04-26 10:44:59, and has shared 12 resources on iSLCollective so far.